If ever a title was deliberately misleading, here it is. This movie is still running, there is no way in which it could be any different (it’s already different enough), and the same script writer, director, star, producer and editor reappears in a dazzling array of get-ups. The voice that oversees the performance in many guises — rhymed aphorism, yarn, parable, philosophical speculation, or Vinnie O the Godfather laying down the literary lore — is unerringly that of a confident, accomplished poet who certainly doesn’t see why he can’t have a go at anything he chooses. It’s so refreshing that Vincent O’Sullivan seems open to all sorts of poems, seeing each as worth writing in itself, not just as part of a scheme (after all, he is the scheme). The focus on making one’s own movie or meaning emerges early in the book with such poems as ‘Channel X’ and the deftly rhymed ‘The case against …’. The latter also introduces the parallel idea that while you may be telling your own story, everyone else’s may be different, or contradictory, or not a story at all. If at times the avuncular ebullience is a bit much, we can return to the hard-earned compassion of ‘Late morning, call it’ and ‘Between the lines’, or the genuinely complex but unpretentious cultural awareness of ‘When’, or ‘Evening with friends’. There is also poignant, perhaps initially unresolved memory in ‘On the same road you can’t help thinking’ and ‘Once, as a student’. Memory ruminated into present wisdom, without nostalgia. O’Sullivan’s variety extends to successful narratives like ‘Even so’ and ‘Sedition in the ranks’, or ’Morse-taps through snow’, in which Napoleon, Dopey the dwarf, the King of Burma, Caesar and Voltaire all vigorously co-exist. They participate with the author in a lively, restless and apparently inexhaustible inventiveness. A man of O’Sullivan’s age inevitably considers death, particularly that of others around him, requiring his attendance, as in ‘One of these mournings, Old St Paul’s’, where his honest ambivalence offers peculiar comfort. The curmudgeon who surfaces in ‘Supporting the arts’ and ‘An instance of the genre’ is similarly endearing. Yet it will always be the acute, curious and sensitive observer who operates at the core of all O’Sullivan’s writing who will stay with us longest. Here he puts in his strongest appearance in ‘Sprung!’, a stunning, tentative childhood memory that almost transforms into the manifestation of a totem: the fox, lithe and elusive, who inhabits so many of these poems. In this regard it’s pleasant to note the poet’s dog, Norman, taking a central role in the generation of text – being walked, being assayed for a soul, occasioning narrative, being empathised with. These topics and their vehicle are another gauge of O’Sullivan’s range. At one hundred and fifty pages, of course this book is too long. O’Sullivan’s strategy seems at first sight to be to cram everything in and let the reader decide. Not a bad approach. If he can persuade the sort of fussy but biddable reader I am, good on him: I wouldn’t change a word, even if there are one or two overworked pieces. This delightfully garrulous omnivore is the poet he has become and he deserves our attention. We’re lucky to have him. 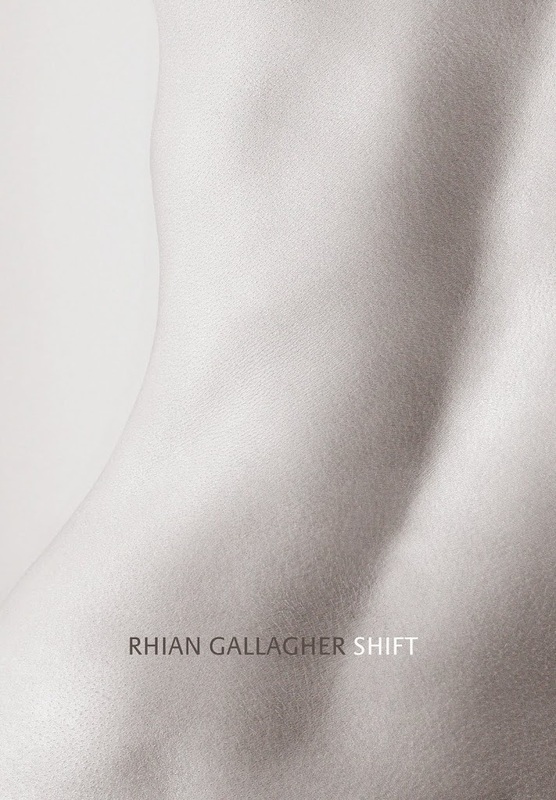 While the title and arrangement of her beautiful new collection Shift imply a narrative of departure and return, Rhian Gallagher is both dynamic and original in her handling of this familiar New Zealand theme. More than anything else, the journey is made in terms of its language: these lean, suspenseful poems emerge out of their author’s developing confidence and understanding. Put very simply, the first section of the book deals with memory, the second with travel, and the last with arrival. What happens to the language meanwhile is that it progresses from a background of recollection into the foreground of the present. don’t go back.’ Meaning a regression. But return is also rebirth, “a shift from squat to stand” (‘The Big Dark’). For the former beloved, New Zealand is “this country that was too far for you” (‘Hand-drawn map’), another indication that the passage of change, inwardly driven, is not without cost or regret. ‘Hand-drawn map’ is a vivid sequence that acknowledges the hard transition from loss to forgiveness. At its most intimate here, the poet’s voice is surprisingly inclusive and reaches beyond an immediate situation or narrative. Uncharacteristically dreamlike, ‘Process’ summarises the part time and seasons have to play in a ritual of acceptance. This verbal motif is effectively rendered visible in the cover black-and-white photograph of a detail of a human torso, suspended part way between life and art. Personal, international and consciously critical awareness is literally brought home to a recognisable New Zealand context in these impressive poems, reminiscent of an established strand in South Island writing, including works like those of Ursula Bethell, Janet Frame, Brian Turner and, possibly, Charles Brasch. If Rhian Gallagher is part of this tradition, she certainly enhances it. Shift most memorably affords, however, the excitement of sharing in a fine poet’s construction of her own voice. TONY BEYER is a Taranaki-based poet and writer, and the recipient of an inaugural Aratoi Fellowship this summer at New Pacific Studio near Mount Bruce, Wairarapa.